Em never meant to get married. She didn’t mean to be unhappy. It all just sort of happened by accident... like running over your neighbours cat. Things always seem to just happen to Em. Now standing alone on the edge of a train station platform, she just wants to know... whose baby is this? 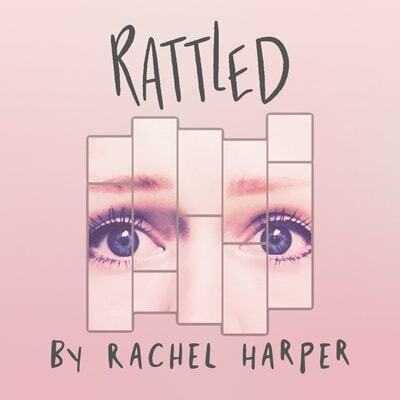 RATTLED is a vital piece of new writing that explores the effects of childhood trauma through the eyes of a woman confronted by her past. In an effort to make theatre a more accessible and welcoming space for parents with young children, Missmanaged Theatre have teamed up with the awesome Bea & Co. creative child care agency, to provide FREE childcare for two hours to parents attending the Sunday matinee performances of RATTLED. We have a special, cosy area in the theatre reserved just for the children, so whilst you're seeing a brilliant new play and having a drink after with your friends, your kids will be downstairs having their own day-out, supervised by the superb creative sitters of Bea & Co. Following Saturday matinee performances there will be a Q&A with the cast and creative team, free to ticket holders. How much have you been willing to sacrifice for the sake of ‘comfort’ and ‘security’ in your life? Lorelei can write as many lists as she likes … but what will she DO? Directed by Andrew Hurst, Keep It Moving Theatre presents a new, romantic comedy in the form of a one woman play that explores our human propensity to search for validation from the world around us for the rational decisions we’ve made …while our insides tear in two. But then again, who’s ever going to be truly happy? We may at least be comfortable. RELAXED PERFORMANCES ON SUNDAY MATINEES.